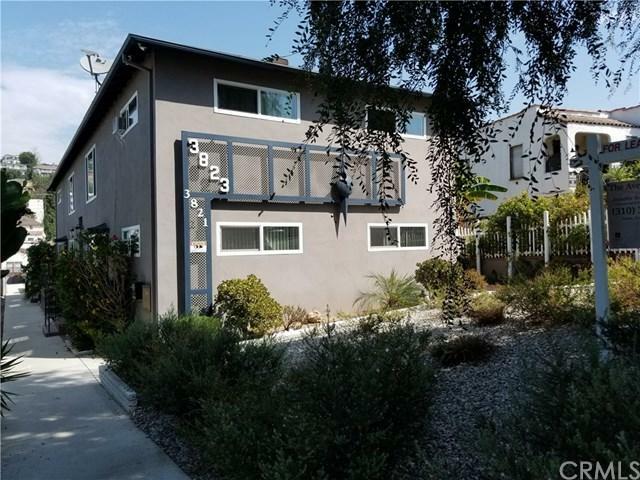 3823 Stockbridge Avenue #1, El Sereno, CA 90032 (#MB18177569) :: Ardent Real Estate Group, Inc. Looking for a fabulous area to call home? This 2 bedroom 1 bath downstairs unit is located in the quaint community of El Serreno adj to South Pasadena/Alhambra! Spacious! Spacious! Spacious! Plenty of space at every corner of this unit. Ample bedrooms with plenty of closet space. This unit features carpeted bedrooms and a very large living room. Dining area is conveniently located adjacent to the galley style kitchen. The bathroom has tile shower walls with sliding door to a tub/shower combo. Community conveniently has affordable washer & dryer hook-ups so doing laundry is a breeze. Nicely manicured hardscape/landscape. Excellent location! This home is a few miles from DTLA by street & is nestled in between the nearby communities of South Pasadena, Alhambra, Montecito Heights & Highland Park. Minutes away from all the action! This one of a kind large affordable 2 bedroom unit won't last so hurry before its gone. Note: The entire property consists of 5 units (a 2 story 4 plex & the separate home at rear). Unit #1 located towards the front of the property is the only unit currently for lease. Sold by Ana Pantoja of Keller Williams Realty Downey.